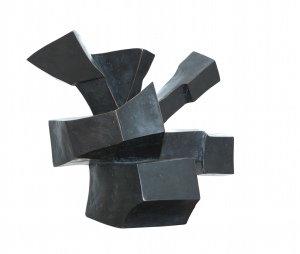 The sculpture „Awakening“ is an early example for the phase of Oskar Höfinger’s oeuvre, which started around 1970. The cubistic figures with crystalline surfaces, which dominated the 1960s, mainly had closed shapes. 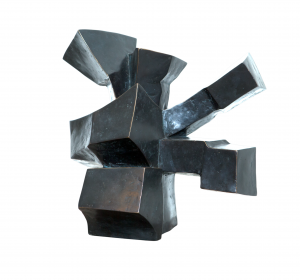 Towards 1970 Höfinger began to design his sculptures from their center and lets them radiate from there into their surroundings. Therefore „Awakening“ is not only a symbol for the joyfully stretching human being at the beginning of a new day or a new chapter in his or her life, but also for the start of a new period of the sculptor’s works.